Bikes are everywhere. On street corners, outside cafes, parading down the street, grans on bikes, mums on bikes, families on bikes. 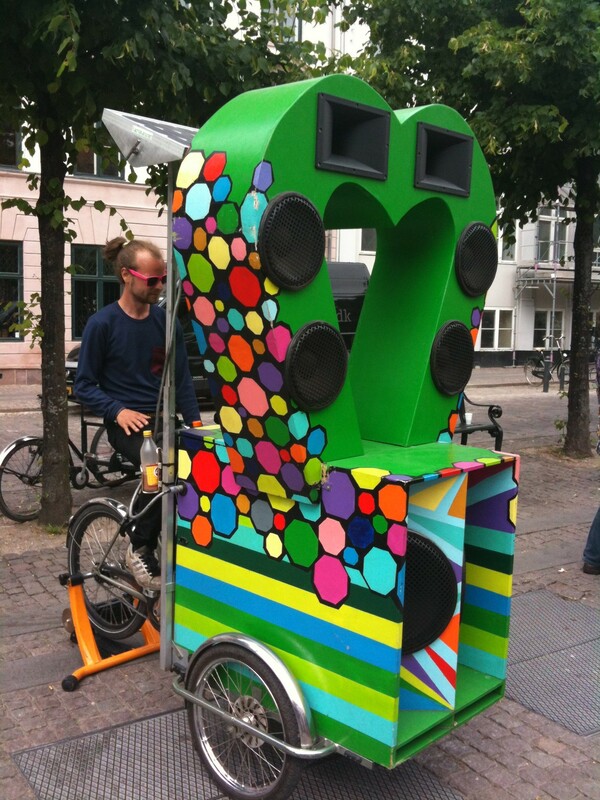 Even stereo bikes! 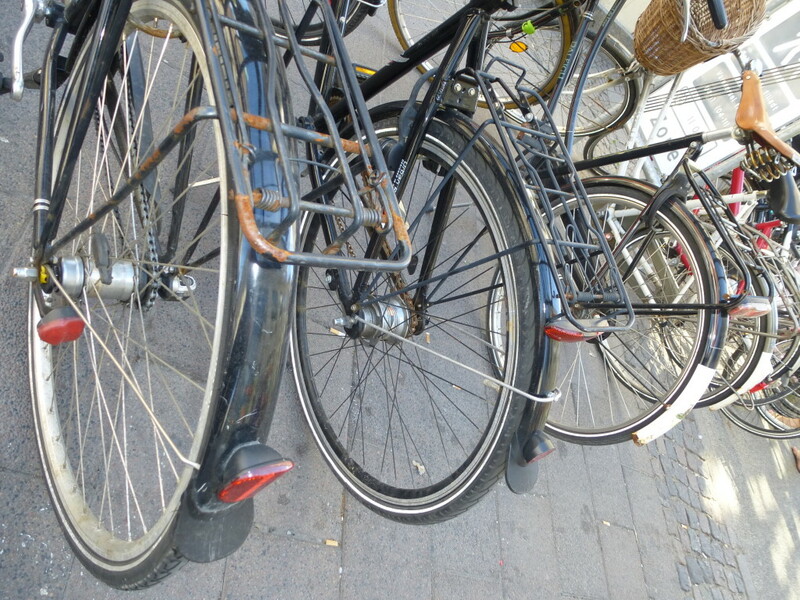 It is clear that bikes make up a huge part of the culture in Copenhagen and with 55% of Copenhageners commuting to work daily by bike, it isn’t any surprise that the roads are well set up to safely cycle all across the city. For our scavenger hunt on Saturday I was determined to have a go at being a true Dane and so I hopped on my bike lent to us by Hotel Fox and off I cycled. I have always dreamed of cycling around London, but somehow the busy streets, lack of cycle lanes and terrifying drivers make the experience seem far from manageable. However in Denmark. It is very, VERY different! #2 The coolest biker in Copenhagen? I asked the reception if there is anything I needed to know. ‘Just left, right and stop signals then you’re good to go’. Easy. 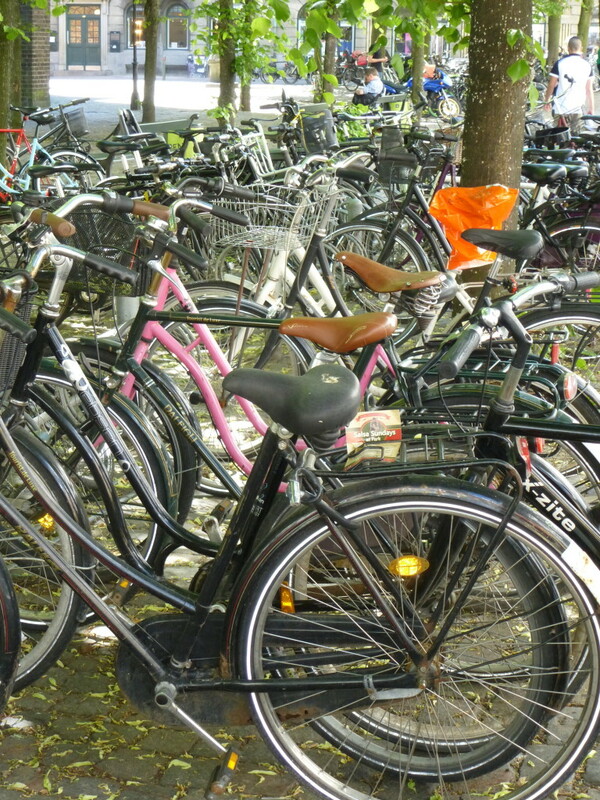 And it was easy, even in bicycle rush hour you feel safe and know that in this town… bikes come first. I must have cycled for miles on Saturday, from one end of the city to another and back again, but what a brilliant way to see the town. I cycled down busy roads, through parks, across bridges, along the water’s edge, through the Royal Palace Square… all over. 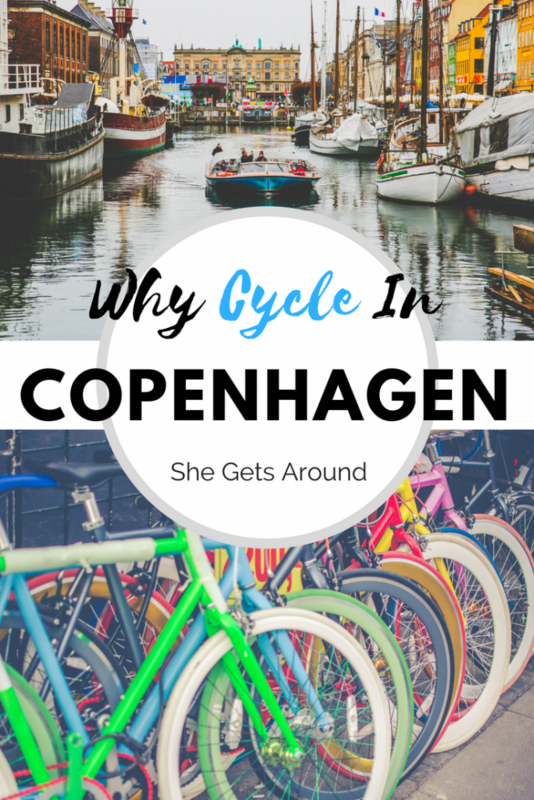 Here are my top reasons why getting a bike in Copenhagen is the BEST way to see the city. The freedom to go (almost) anywhere you want around the city. There are bike routes on every road, cyclists seem to get right of way and with the special bike paths it is really difficult to even worry too much about getting in the way of cars. Bikers come first. Fast, Fun and Freee! There is nothing like that feeling of cycling and not knowing quite where you are going, but knowing wherever it is, you will get there a lot faster than on foot. It is safe! 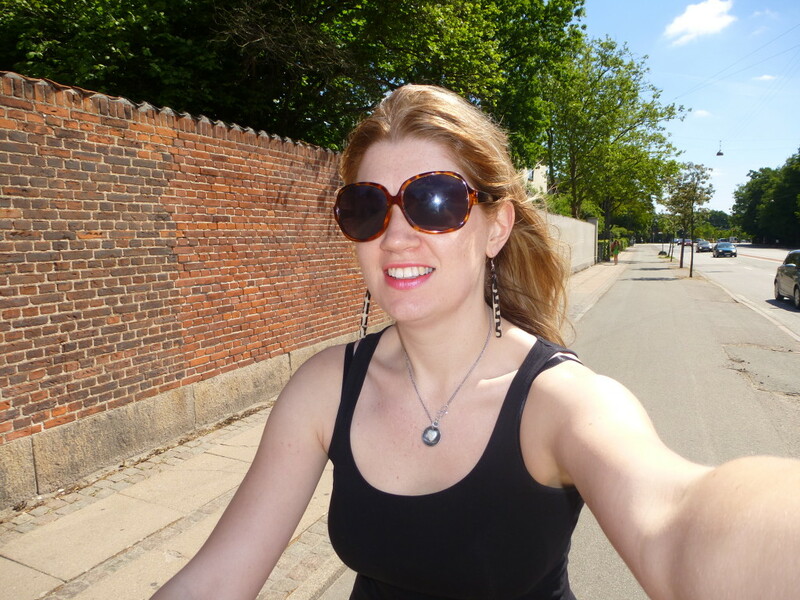 I haven’t felt scared at any point when cycling around Copenhagen and I am far from a regular cycler. 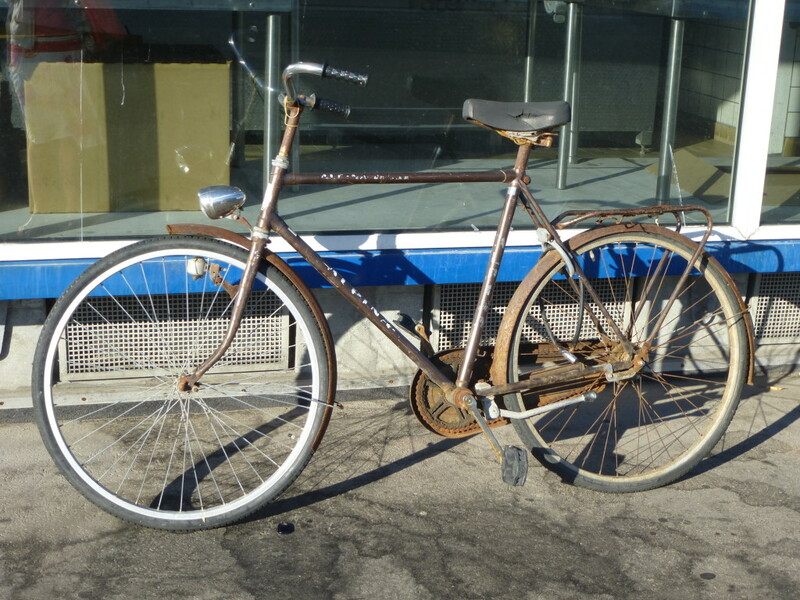 In fact, I haven’t owned a bike in years. I certainly think I will be getting one back home soon, though not sure I will feel anywhere near as safe on the roads as I do here. Everyone else is doing it. You will look weird if your feet are touching the ground. Thousands of people are cycling to work, to meet friends, to the shops, to the park, all day and all night long. Rush hour is 24/7. Watch out if you’re walking… cyclists come first! Thank you to Hotel Fox and The Andersen Hotel for lending me two wonderful bikes which have done a perfect job of helping me get around the city this weekend. Thank you Go Visit Denmark for a blooming brilliant weekend. Love this post? Then add it to your Pinterest travel board!